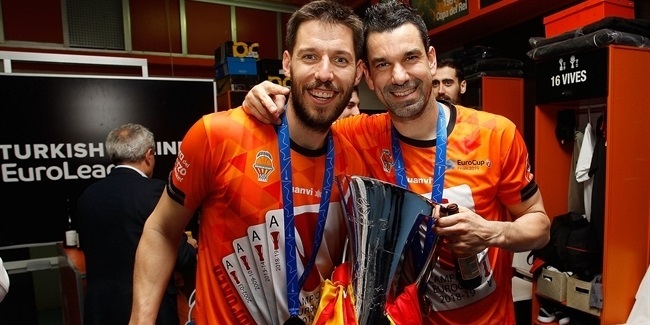 The next-to-last stage of the 7DAYS EuroCup started on Tuesday with the opening game of the semifinals and when the dust settled, the two Spanish teams were leading their respective series. The spotlight shone on Fernando San Emeterio of Valencia, who led his team to the first win and earned MVP honors in the process, thanks to a performance index rating of 31. 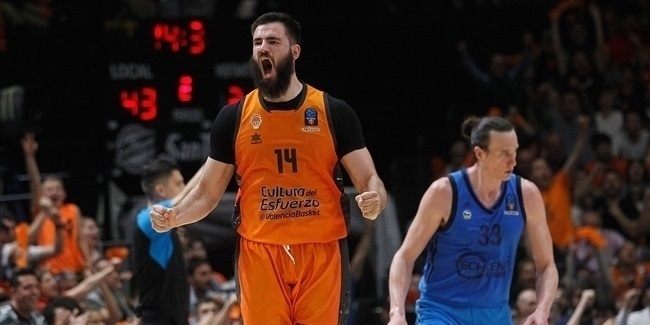 San Emeterio netted 21 points, pulled 4 rebounds, dished 3 assists, had 2 steals and drew 8 fouls for his best EuroCup game ever at a key moment of the season. In fact, San Emeterio had EuroCup career-highs in PIR and points. Following him, the best individual performances of the opening game of the semis were completed by Hapoel Bank Yahav Jerusalem's Tarence Kinsey with a PIR of 25, thanks to 22 points, 7 rebounds and 3 assists; and Unicaja Malaga's Jeff Brooks, who led his team to a huge road win at Lokomotiv Kuban Krasnodar thanks to 18 points and 5 rebounds for a PIR of 20. Kinsey was also the top scorer this week among the four teams with his 22 points, which included 6 of 11 2-point shots, 2 of 3 threes and 4 of 4 free throws. 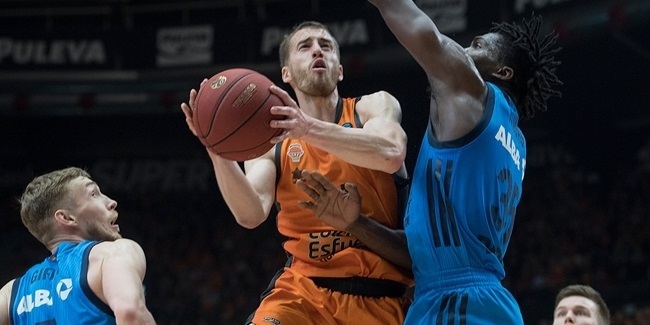 Only San Emeterio also managed to break the 20-point barrier with his 21 points. Under the glass, only Valencia's Bojan Dubljevic managed to get to the double digits with his 10 rebounds. In the assists department another Valencia player, Rafa Martinez, shined with his 6 decisive passes, which he added to his new personal mark, becoming the new three-pointer king of the competition reaching the 208 made threes. Loko's Taylor Rochestie matched Martinez in assists, also with 6. Two more Valencia players shined in steals, as Joan Sastre and Sam Van Rossom had 3 apiece to lead the rankings, while stopping in the paint, Travis Peterson of Hapoel had 2 blocks.